Goa election results 2017: Congress workers follow results of the assembly elections in the state. The Congress, which is set to lose heavily in Uttar Pradesh and Uttarakhand as per early trends, will have some consolation -- leads in Goa and Manipur, besides the big victory in Punjab. The party is ahead in 11 seats, the state's ruling BJP is ahead in eight showed trends at 10:30 am. The situation, though, could change since trends have come in only from 23 of the state's 40 seats. In Goa's in Mandrem constituency, BJP Chief Minister Laxmikant Parsekar lost to Congress rival Dayanand Sopte. Exit polls had predicted that the BJP could retain Goa. Three out of four exit polls did not rule out a majority for the party and only one predicted a hung house. The aggregate gave the BJP 18 of the state's 40 seats. 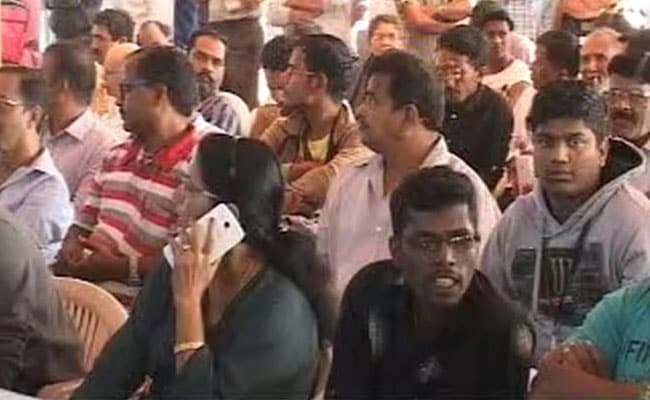 Goa election results 2017: People wait patiently at the counting centre in the state. 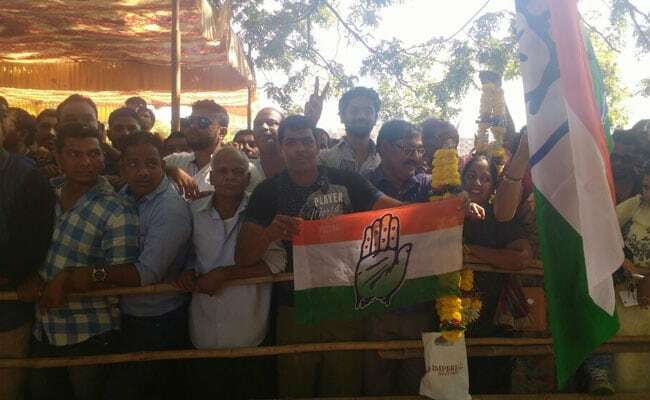 The Congress had lost the state to BJP in the 2012 elections, trailing the BJP and the Maharashtrawadi Gomantak Party combine with only nine seats. The BJP had won 21 seats, the MGP three, which added up to a comfortable majority. But in January, the MGP had withdrawn support from the government and went ahead to form an alliance with Shiv Sena and the Goa Suraksha Manch or GSM. Arvind Kejriwal's Aam Aadmi Party, which contested from Goa in an effort to expand its footprint beyond Delhi but was portrayed as an outsider by both the BJP and the Congress, is yet to open an account. Claiming that he is still "hopeful", senior AAP leader Somnath Bharti said, "Punjab and Goa could be a great learning experience on what went wrong... But the clear advantage would be that after the BJP and Congress, we would be a party with a footprint in more than two states."